First Congregational Church of Los Angeles, also known as FCCLA, is the oldest Protestant church in continuous service in Los Angeles. 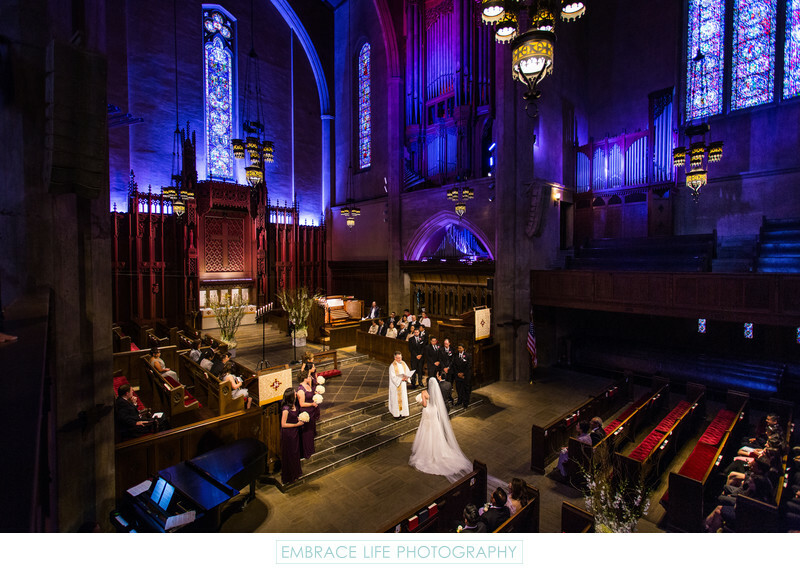 The church's incredible sanctuary is ornate and beautiful with stained glass windows, arches, carved wood and dramatic lighting, making it one of the prettiest church wedding locations in Los Angeles. Location: 540 S Commonwealth Ave, Los Angeles, California 90020. Keywords: Ceremony (333), Details (1125), Reception (396), Wedding (1437).